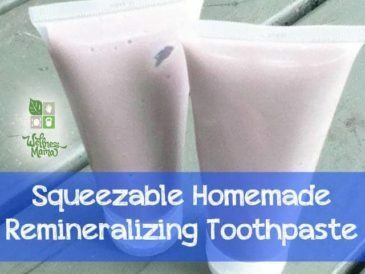 Since learning about how diet can drastically affect oral health and the need for minerals in the body for oral health, I’ve increasingly turned to homemade mineral-rich natural toothpaste options. Fluoride: The most controversial toothpaste ingredient. I personally have to avoid it like the plague because with my thyroid disease, I can’t take iodine in any form. Iodine is known to neutralize the affects of fluoride so it is easier for fluoride to build up in my body. Additionally, fluoride interferes with my thyroid hormone uptake. Our family doesn’t use fluoride toothpaste and we filter it out of our water, but there is definitely research on both sides. You can read Mark Sisson’s take here and Dr. Mercola’s opinon here. Whatever your opinion, fluoride does come with a warning to call the poison control center immediately if ingested and after seeing a close friend’s scare when her son ingested some fluoride, it isn’t something I keep in our house. Glycerin: Another controversial ingredient, glycerin is found in many toothpastes, especially natural toothpastes. Glycerin is a sweet, colorless liquid and some research says it can coat teeth and prevent them from benefitting from the minerals in saliva. 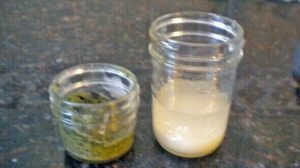 I know that when I used glycerin toothpaste in college, my teeth started to yellow, but the research is still mixed on whether glycerin is harmful or not. Especially when I was working to remineralize cavities, I decided that it was better to just avoid glycerin. 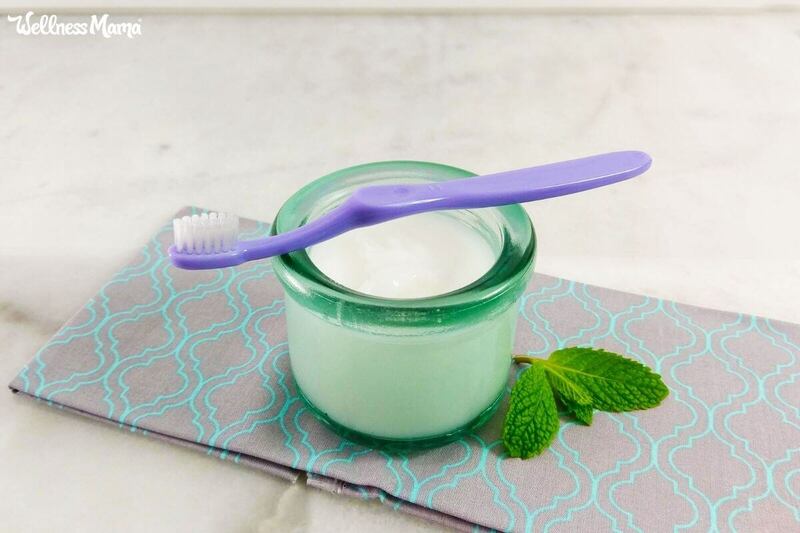 Surfactants: Many toothpastes contain surfactants like sodium lauryl sulfate, which gives toothpaste its foam and lather. Some research shows that SLS can cause mouth ulcers and canker sores. Many toothpastes also contain artificial colors/dyes or synthetic flavors. 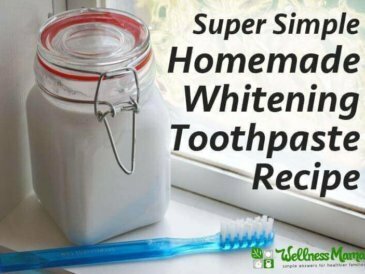 There are a few good natural toothpastes out there, but after looking at the ingredients, I realized I could make a similar concoction at home… and the toothpaste experiment was born. I admit, I had several failed attempts before I figured this recipe out. 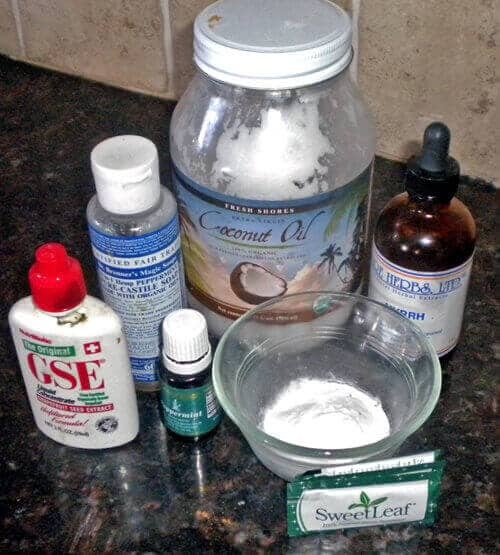 I originally tried mixing coconut oil and baking soda in equal proportions which makes coconut tasting salt. 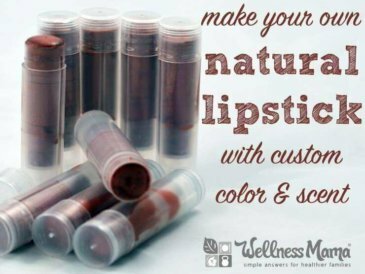 I also tried using pure ground stevia leaf, but my husband and kids couldn’t get past the green color. I finally made a concession to use stevia powder (the most natural one I could find) though I would like to try xylitol too, as it has some supposed benefits in dental health. I finally found one recipe that tastes pretty good and that the kids don’t spit out! 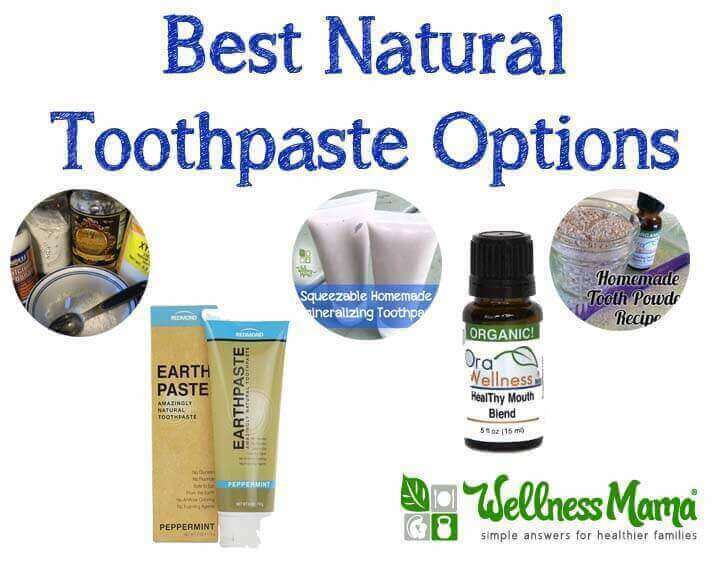 We have been using this natural toothpaste for a while now, and it seems to work great. I’ve noticed less plaque when brushing our teeth, and my teeth feel smoother. I will keep you updated after our next dental checkups, but I have several friends who have used similar concoctions for years and never get cavities. 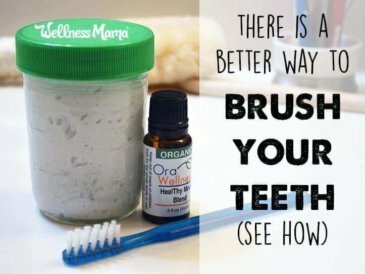 I use OraWellness Brushing Blend as an ingredient in many of my homemade oral health products, but I also just like using it alone. 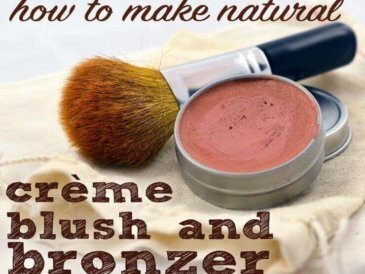 It is great for traveling, even for flying since it comes in a small bottle and since you only need a few drops, it lasts forever. We also use OraWellness Bass Toothbrushes regularly at our house. Earthpaste is another favorite at our house. The kids like the lemon flavor and my husband and I like all three mint options (cinnamon, peppermint and wintergreen). I haven’t found it locally, so we buy a four pack online every few months. What do you think? 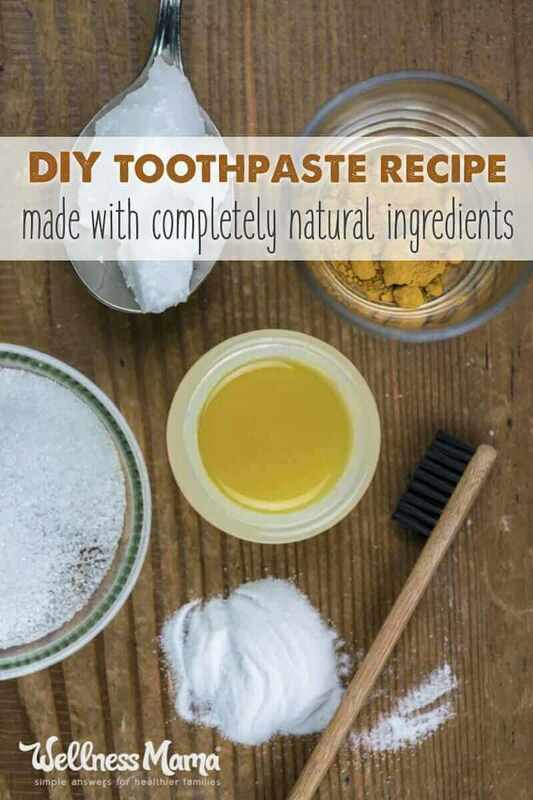 Up for making your own toothpaste, or is it too much? Tell me about it below!